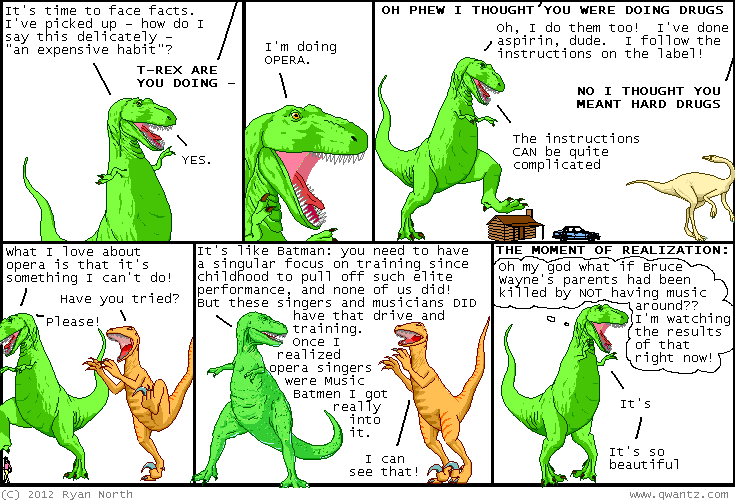 Dinosaur Comics - March 12th, 2012 - awesome fun times! –But they need some money upfront, right? March 12th, 2012: Hey speaking of opera, I recommend you set aside 15 minutes from your day to watch these two versions of the same aria! It's what inspired this comic.